The TANDEMKROSS Titan is designed for competition shooters, junior shooters and anybody using a thicker grip on their firearm. 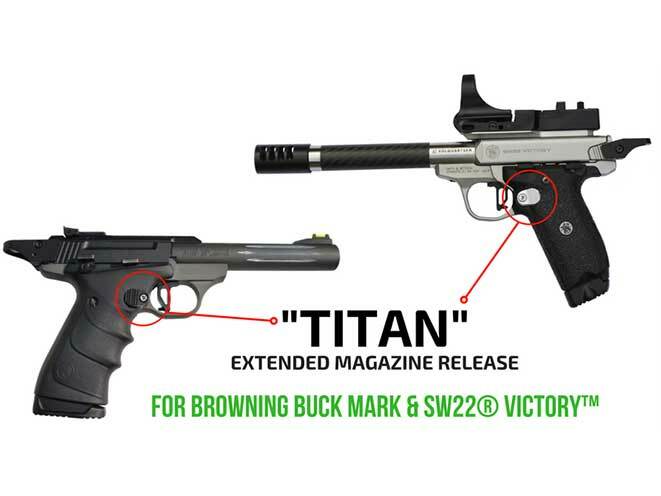 Rimfire competition accessories manufacturer TANDEMKROSS has released the Titan Extended Magazine Release for the SW22 Victory and Browning Buck Mark. The TANDEMKROSS Titan is a simple, drop-in replacement for the factory magazine that offers more surface area and height to make it easier to change magazines. 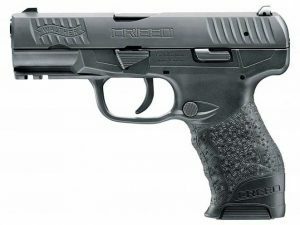 It’s designed specifically for competition shooters, junior shooters and anybody using a thicker grip on their firearm, the press release says. The TANDEMKROSS Titan features a paddle button to extend the magazine release not only out and away from the firearm, but also back towards the shooter. Meanwhile, the paddle is textured for a no-slip grip in any condition and can be positioned by the user for a customized grip. The mag release button comes in black or silver. This product is available at a retail price of $29.99.